You use UCS and are thrilled about it? Then why not share your enthusiasm with the IT world? Not only will you help to make UCS more popular, but as a Univention Ambassador you can also collect bonus points and exchange them for great rewards. 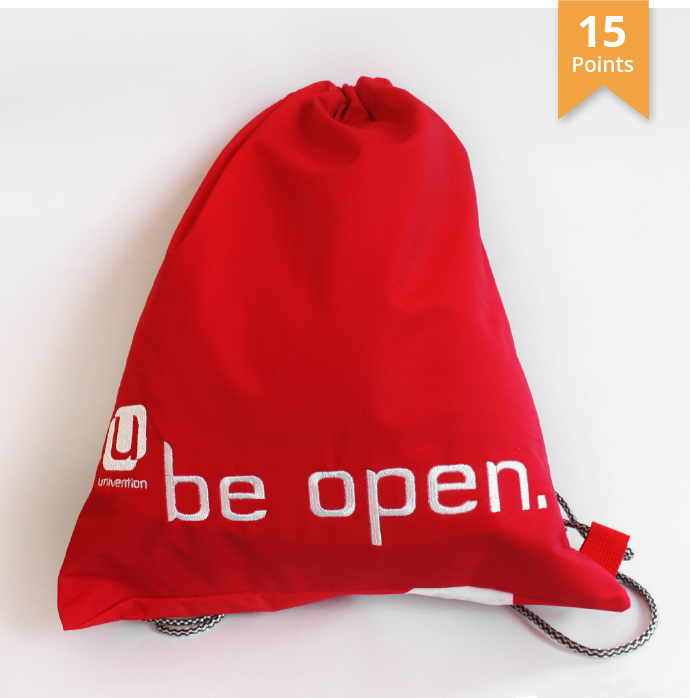 From a “be open.” bag to an invitation to our next Univention Summit. Every be open. bag is a handmade unique specimen and was in its previous life a Univention flag or a fair banner*. 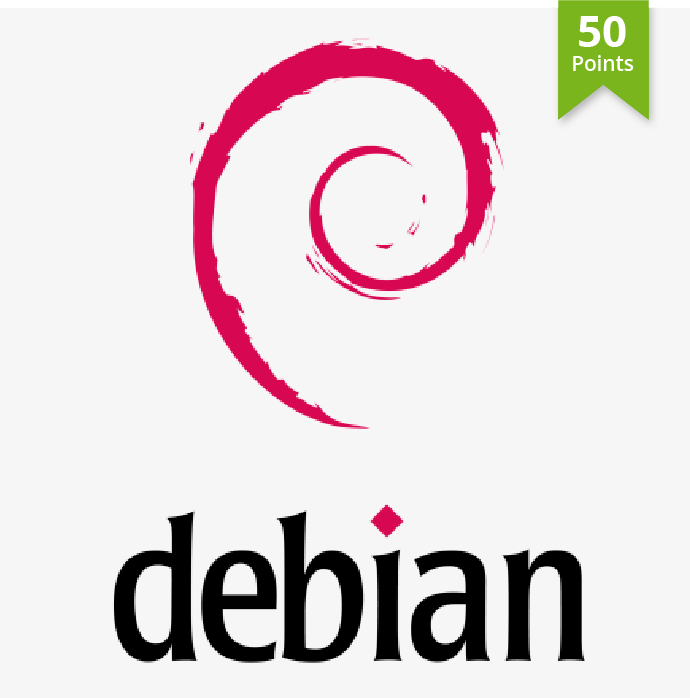 Univention donates in your name 1 Dollar per bonus point to the Debian project. 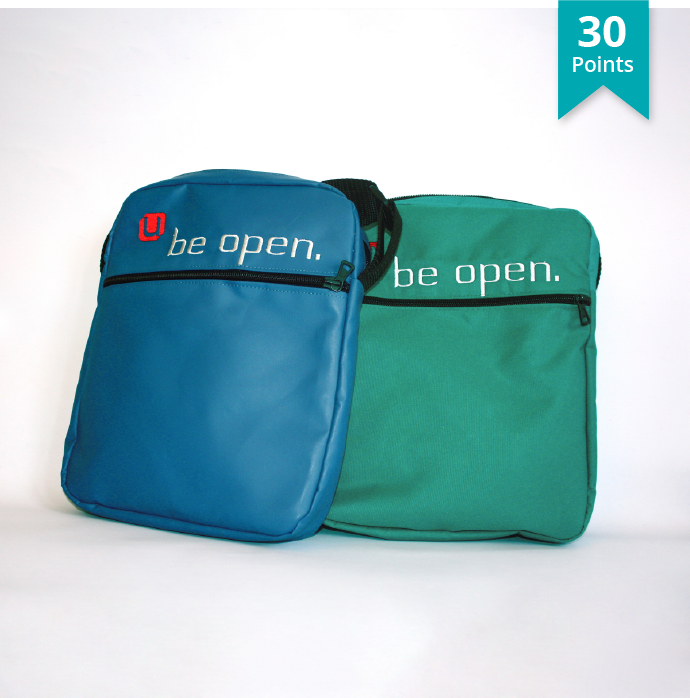 An exchange of the points into a donation is possible from 50 points. 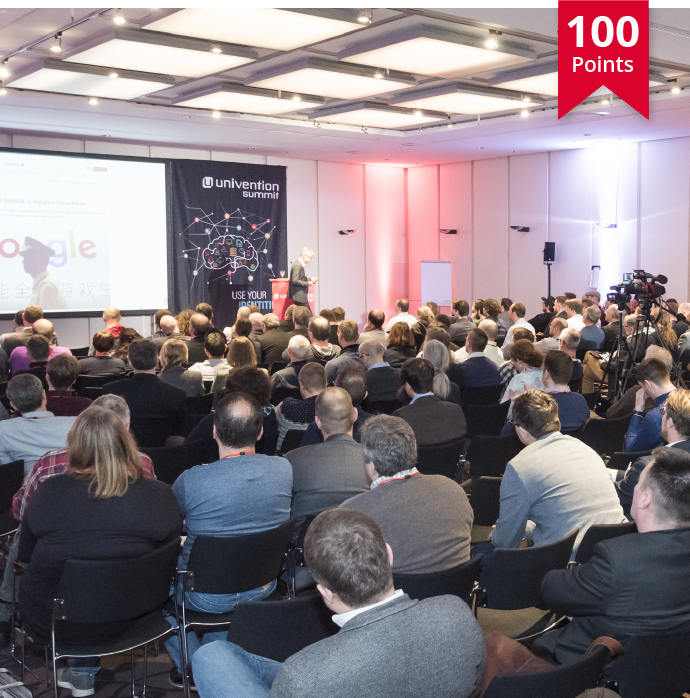 We not only invite you to the Univention Summit, but also cover your travel costs within Germany and the costs for your hotel accommodation. * All of our bags were produced from recycled materials in cooperation with the non-profit organisation Upsign. Upsign takes care of long-term unemployed women with a migrational background and supports their reintegration into the labour market. Where can I post comments and reviews? Write a comment, review or tutorial or make a clip about UCS and its many applications and post it in a public forum, blog, YouTube or portal. Then simply take a screenshot or a picture of your post and send it to us using the form to the right or by e-mail to ambassador@nullunivention.de. You collect 3 points for each comment you make. For each review or tutorial you get 15 points. As soon as you have enough points, we will contact you and you can either redeem your bonus points for a bonus or continue collecting points.